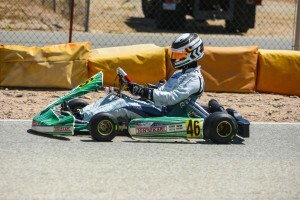 SCHEDULE UPDATED FOR FINAL ROUNDS OF SO-CAL ROTAX CHALLENGE | Full Throttle Karting! Southern California United States Rotax Max Challenge program cuts series to seven rounds, moves dates to close out 2014 ORANGE, CA (July 10, 2014) – In its inaugural season, the So-Cal Rotax Challenge has become one of the largest United States Rotax Max Challenge programs. The first USRMC series to hit the 50 member mark, the So-Cal Rotax Challenge is currently the second largest based on membership numbers, leading into next week’s Cold Stone US Grand Nationals. 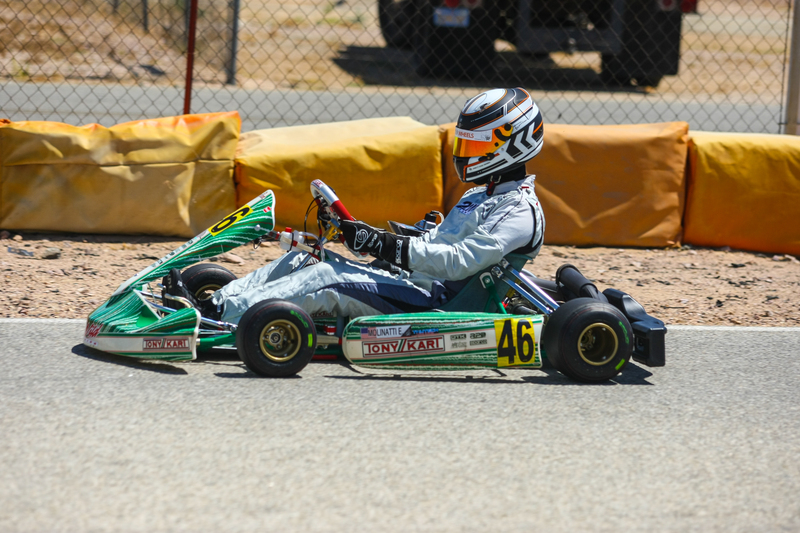 Four rounds of racing are in the books, following two one-day events at the CalSpeed Karting Center in March and May, along with a double-header weekend at Willow Springs Kart Track in June. The series is now preparing for the second half of the season, making adjustments to the schedule by eliminating one round along with moving to different dates. The next event scheduled was set to be a double-header weekend on August 8-9 at the Adams Motorsports Park in Riverside. That event has been reduced to a one-round race, and rescheduled for a night event on August 23. The race will be combined with SoCal Sprinters – one of the oldest clubs in Southern California. The event will begin with the gates opening around noon, and the main events scheduled to run under the lights. 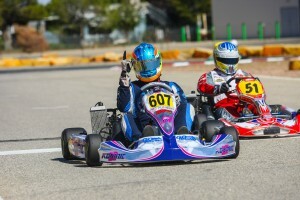 Specific event details will be released very soon on the So-Cal Rotax Challenge webpage. The September 13 event at CalSpeed remains on the schedule, and will now count as the sixth event of the series. The series finale, originally set for October 12, has been moved to October 26 and still set for the CalSpeed facility. The championship chase is now based on a best five of seven format. “Scheduling is among the toughest tasks to manage when organizing a series,” stated Andy Seesemann, So-Cal Rotax Challenge promoter. “Although we released our schedule in November 2013, a few other local organizations scheduled races on the same weekends. I decided that in order to ease the burden for our customers and sponsors having to choose which event to attend, we have moved two of our events. The three final rounds will be exciting events. Racing under the lights at Adams, one of the most historic facilities in the sport, is truly an experience you have to try. 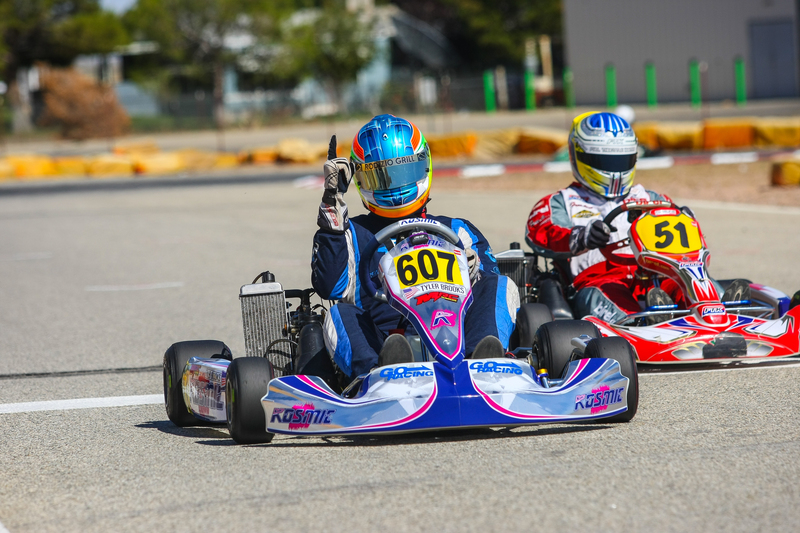 And the two final rounds at CalSpeed will feature different configurations.” The third and fourth rounds of the So-Cal Rotax Challenge took place June 14-15 at the Willow Springs International Raceway in Rosamond, California. The third round of action was contested that Saturday, featuring a qualifying, Prefinal and Final format. Sunday’s Round Four was conducted with a pea-pick for Heat #1 position, with the field inverted for Heat #2, and points determining the main event grid position. With the absence of two-time race winner Jake Craig, the Tru Tech Senior Max class welcomed two new winners. Carlee Taylor and Eric Molinatti split the feature wins. Taylor was able to outrun Molinatti in the 22-lap Final on Saturday, earning a maximum point day with top qualifier honors and the win in the Prefinal. Molinatti escaped Sunday’s main event with his first series victory, with Nathan Seegrist in the runner-up spot. The win also put him in the championship lead over Seegrist, as the two are separated by just 19 points. The PSL SoCal Masters Max division was among the biggest of the weekend once again, with Tyler Brooks stamping his series debut with a double-win weekend. Brooks swept the action Saturday, edging out Andy Seesemann for the main event win with Michael Middleton capping off the podium. On Sunday, Brooks and Round Two winner Larry Hayashigawa split the heat race wins, setting up for a great main event. Brooks was able to break away to a five-second victory over Hayashigawa and Middleton. Another driver to make a debut in stunning fashion wasNash Motorsportz Junior Max double winner Christian Munoz. It was a perfect score on the weekend for Munoz, as he swept both days of action over point leader Jonathan Shone and Arie Zimmermann. Dante Yu and Trey Brown split the feature wins in the Ryan Perry Motorsports Mini Max division. Yu, the current championship leader, won Saturday with Brown victorious on Sunday. Cole Keith Cotham extended his win streak to four with two trips to the top of the podium on the weekend in the 2 Wild Karting Micro Max category. Cotham won both main events over Ethan Ho and Tyson Quach to extend his point lead. In the local option Mack Motorsports Honda Kid Kart, attrition was the key to victory as Cooper Hicks and Zang O’Saughnessy split the wins at Willow as Hicks continues to lead the championship. For all information regarding the So-Cal Rotax Challenge, be sure to bookmark the RotaxChallenge.com website and view extra on the program’s Facebook page.